right is rival McInerny Ltd.
September 1, 1937 - 30,000 sq. ft.
1969 - 38,000 sq. ft.
November 25, 1946 - 1,200 sq. ft.
November 11, 1953 - 29,000 sq. ft.
1962 - 66,000 sq. ft. If the name Liberty House is not the most famous or familiar among the great department stores of the US and Canada, the story of its founding, with its tales of adventure on the high seas stretching from Europe to the New World and the Pacific Ocean, is nonetheless compelling and all the more remarkable for its unique tropical setting in America’s 50th State. Indeed, The Liberty House, as it was known, identified with Hawaiian culture, history and even language. 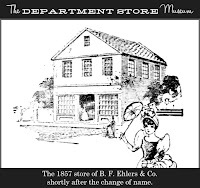 The store was known by natives as “Hale Kilika” or “the silk house,” and it eventually adopted the slogan “Honolulu’s Kamaaina (resident) Department Store.” Furthermore, its founder famously stated that “There is a great future in the retail trade in the Sandwich Islands,” and he was nothing if not prophetic. Its early history could provide the plot (and all necessary details of) a classic swashbuckling film, meant to be shown on the broadest of the big screens. Heinrich Hackfeld (1816-1888) was born on October 1st in the little town of Almsloh, in the Grand Duchy of Oldenburg in Northern Europe (Germany had not yet been united into one nation by the time he was born). By all accounts, his beginnings were humble – his father was a common hired hand, though the family were deeply faithful Lutheran Christians. With little or no prospects in his home town, slightly west of Bremen and a short distance to the North Sea, he set his sights on Amsterdam, where he found work on a ship, traveled throughout Europe and across the Atlantic, and taught himself to speak English. With his earnings, he was able to fund an education at the Steurmannschule (Seafarers’ School) in Bremen. After his wife Meta and first-born son died in childbirth in January of 1838, Hackfeld sailed to South America, and in the process made the acquaintance of ship broker Georg Friedrich Pflüger. Through this relationship, he eventually became captain and co-owner of the brig Express and sailed regularly from Bremerhaven for St. Thomas, V.I. ; and Maracaibo, Venezuela. On one of these voyages, the Express was unable to unload cargo in the Mexican port of Mazatlán due to war and prevailing unrest there, so Hackfeld took the cargo to Honolulu, and returned (very proifitably) with provisions for the British Navy anchored off the Mexican coast. From there he headed to China with a veritable bounty of Silver and other goods that made him a wealthy trader indeed. One particularly fateful event in 1845 saw him shipwrecked in a violent storm off the island of Batan, Phillipines, where, though his ship was a total loss, he, his cargo, and his crew were rescued by locals from the village of San Carlos. Having lost his investment in the ship, he made his way back to Bremen and never again sailed as a captain. The event, no matter how harrowing, did not spoil Hackfeld’s taste for travel and trading, though, and after a further two years of such work, he became owner of another brig, this time the Wilhelmine. It was on this ship in 1849 that Hackfeld sailed for Hawaii with his new wife, Marie Pflüger (daughter of G.F. Pflüger), her brother Karl Pflüger, and Hackfeld's nephew B.F. Ehlers. Arriving in Honolulu on September 26, 1849, it was only five days later that Hackfeld began trading in temporary quarters. In the next year, he became a partner with Lyman Swan and O.G. Clifford in a retail store on the corner of Fort and Broadway streets in the Hawaiian capital. In 1850, he welcomed his brother, Johann Hackfeld, and traveling companion G.F. Pflüger, Jr. to his island home, and by 1852 the contingent of Germans in Hawaii was joined by Johann, another Pflüger brother. 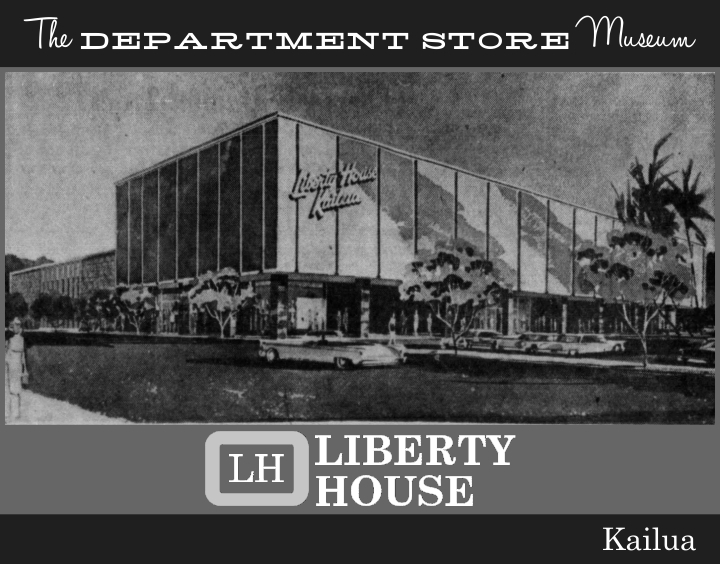 Co-incidentally, the future Liberty House store was founded in the same year that Hawaiian King Kamehameha III granted his subjects the right to elect a legislature to represent their interests. 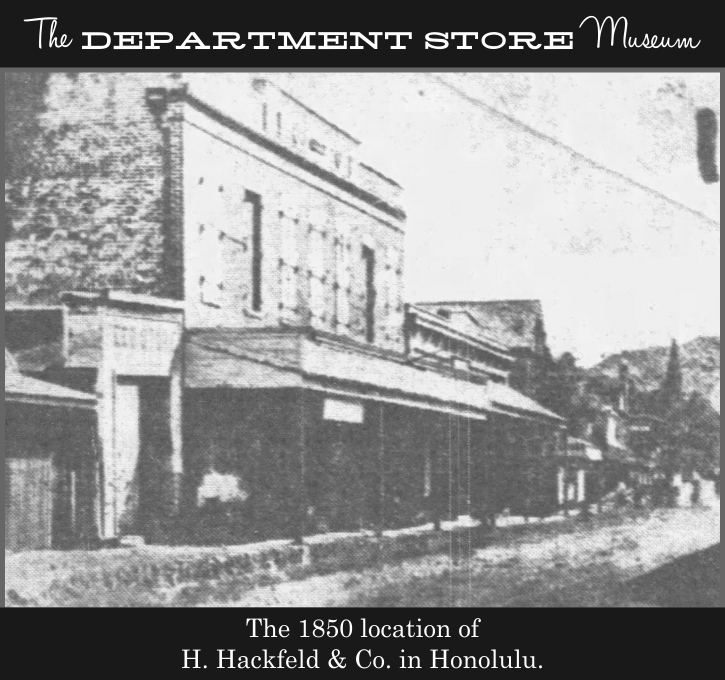 Hackfeld’s business (known at the time as H. Hackfeld, Ship Chandlers & General Agents) grew steadily from the wealth of whalers and California prospectors who arrived in Hawaii to trade. Before the decline of the whaling industry in the 1860s, Hackfeld set up an agency for northwestern US lumber mills, and became a factor (agent) for Hawaii’s vast sugar amd molasses plantations. Furthermore, he was an official agent of the Imperial Russian Crown, furthering that far-flung empire’s Pacific trade. 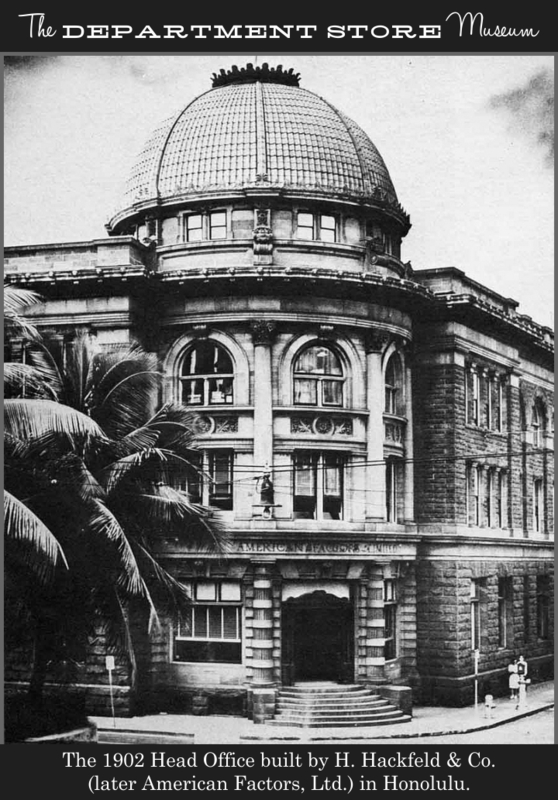 The relationship with Russia was strong enough that the company hosted a memorable grand ball at the Honolulu Court House, attended by the king and queen, for visiting Russian officers in Honolulu in 1862. The Polynesian called the event “a ne plus ultra of balls given in this place, (that) well deserves a mention for the unrivalled combination of elegance, magnificence, taste and completeness which characterized it.” Adding to all of this was a “most brilliant pyrotechnic display” that was launched form the Russian corvette Calevala anchored in Honolulu harbor. Dancing commenced “at 9 P.M. and continued till 2 o’clock in the morning” according to the paper. 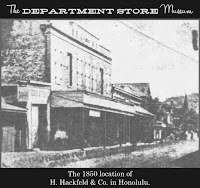 H. Hackfeld & Co. had by 1862 become one of Hawaii’s biggest and most characteristic business firms, as well as the largest sugar factoring agency in the Hawaiian Islands. While it was outwardly identified with its tropical home, the business was thoroughly German in character, with German-speaking executives, and many employees who remained in the German military reserves. 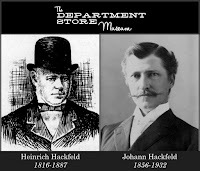 H. Hackfeld & Co. served as the German consulate in Hawaii as well. 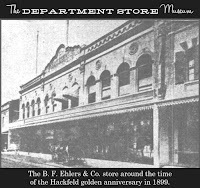 B.F. Ehlers continued to thrive in Honolulu’s retail trade, but a bankruptcy filing in 1885 forced H. Hackfeld & Co. to re-purchase the store and re-organize the business in the early 1890s. A new, 2-story building was constructed after the store was destroyed in a disastrous 1896 fire. The indignities of the past were clearly forgotten by 1899, when B.F. Ehlers celebrated the 50th anniversary of the store’s founding by Heinrich Hackfeld in 1849. The business gave lavishly to charity on the occasion and endowed the construction and maintenance of a Lutheran church in Honolulu to celebrate the occasion. Incorporation under the name of H. Hackfeld & Co., Ltd.occurred in 1897, and in 1902 the company erected a beautiful Beaux-Arts corporate headquarters, a building worthy of any large city in Germany, as its headquarters. The landmark building, at the corner of Fort and Queen Streets, stood in the center of Honolulu for 70 years, until it was demolished to make way for a new skyscraper headquarters complex. When the United States entered World War I in 1917, it came into conflict with the unified (since 1871) German Reich, and anti-German sentiment spread all the way to Hawaii. The suspicion of anyone or anything German (or with a Teutonic accent) in Hawaii reached a fever pitch when the business of H. Hackfeld & Co. was sued by the government for conspiracy to ship arms to Germany. By this time much of the firm’s management had fled back home to Europe, and H. Hackfeld & Co ultimately pleaded guilty to the charge. The Federal government's Alien Property Custodian, in 1918, seized the business and sold it to a group of investors, who re-organized it as American Factors, Ltd. 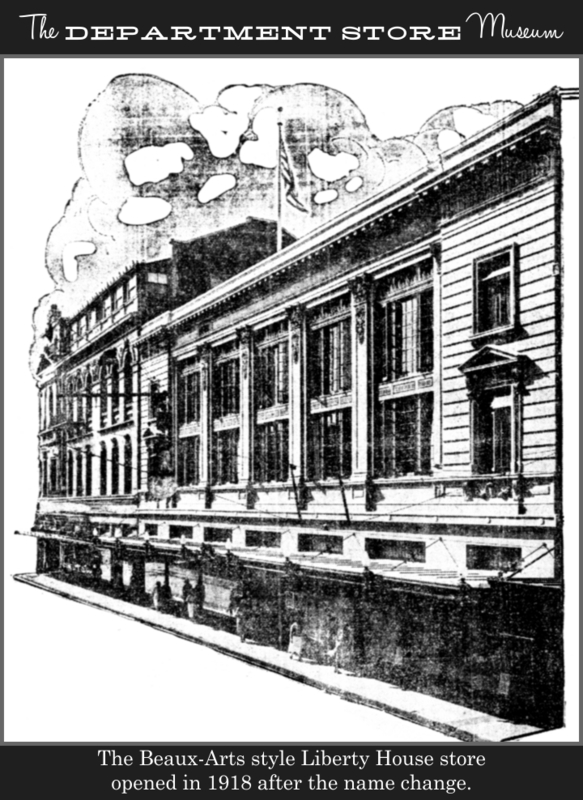 The B.F. Ehlers store, which became a subsidiary of American Factors, Ltd., was renamed The Liberty House, around the same time in 1918 that a new, beaux-arts style structure was being built in Honolulu to house it. Ironically, the store’s design was very much in a traditional European, if not German mold, and when the old name was removed from the edifice, the press mentioned that it went some way towards the de-germanizing the new facility, thus making it more palatable to wartime Hawaiian customers and visitors. After the war, Johann Hackfeld sued the US Government to regain the assets of H. Hackfeld & Co., but was unsuccessful, and a further lawsuit by his executors in the late 1930s resulted in the seizure of the remaining assets of Johann Hackfeld's estate by the Federal Government, who revealed that Johann Hackfeld had never been a citizen of the United States before H. Hackfeld & Co. was dissolved. New name or not, The Liberty House prospered after the war, and developed into a major anchor of Honolulu's Fort Street shopping district. 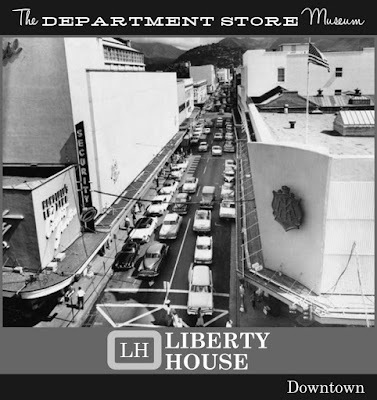 By 1925, an expansion was deemed necessary, and an adjacent building on King Street was incorporated into the main store as the so-called “Annex.” By 1956, the second and third floors of the Wickman Building on Fort Street were added to The Liberty House’s physical plant. 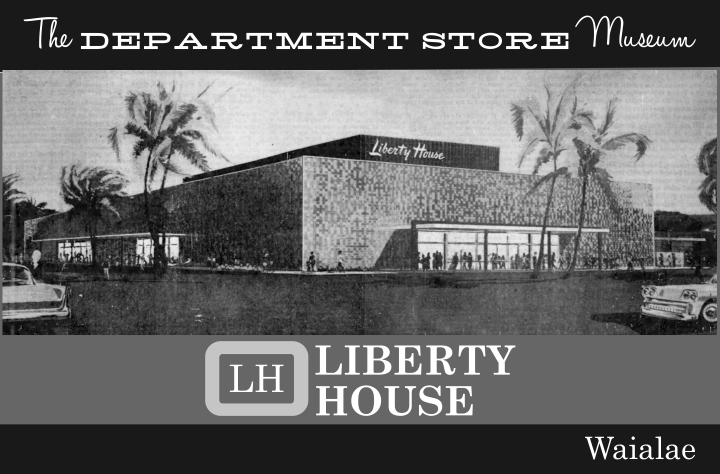 On Kalakua Avenue in Waikiki Beach, The Liberty House opened a chic branch store that had to be enlarged eleven years later and doubled in size by 1957. The Waikiki store was marketed and merchandised differently than the flagship, being a more upscale outlet a stone’s throw from the beach. 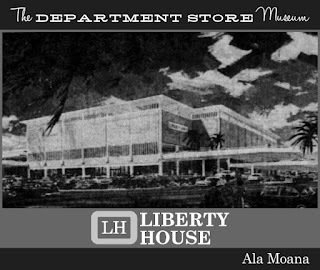 The famous Waikiki Drug Store adjacent to Liberty House Waikiki was operated by the firm and eventually closed and folded into the department store branch. 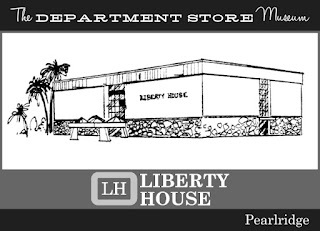 As early as 1946, The Liberty House opened a small, unprepossessing branch at Kailua outside of Honolulu, which was actually smaller than a typical home of the day. The diminutive store was successful out of all proportion to its size, and was soon replaced by a bigger branch operation in 1953. 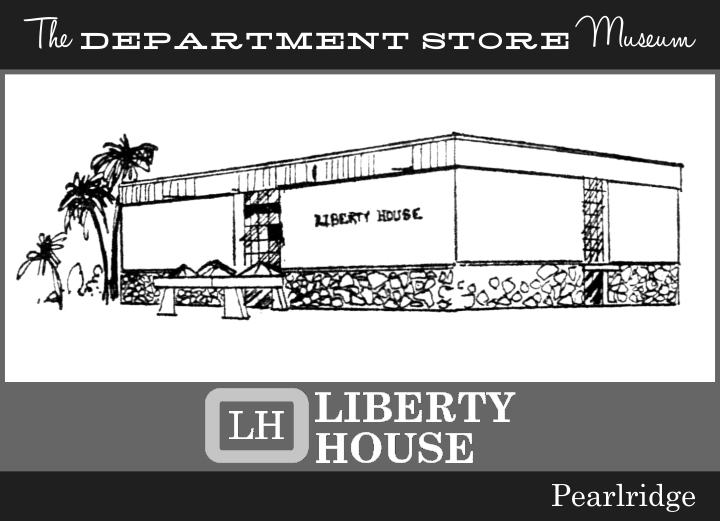 Nine years later, the Kailua store was enlarged into a full-size operation complete with a Liberty House luncheonette. In 1958, a large branch store, with facades covered in subtly-colored Hawaiian ceramic tile, opened at Waialae in Honolulu’s soigné Kahala district. 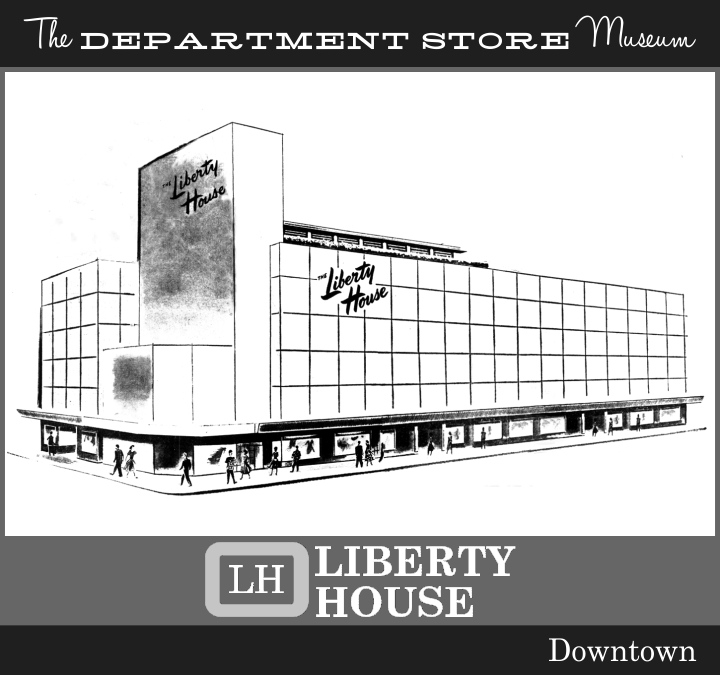 The name of the department store was shortened to Liberty House in 1957. 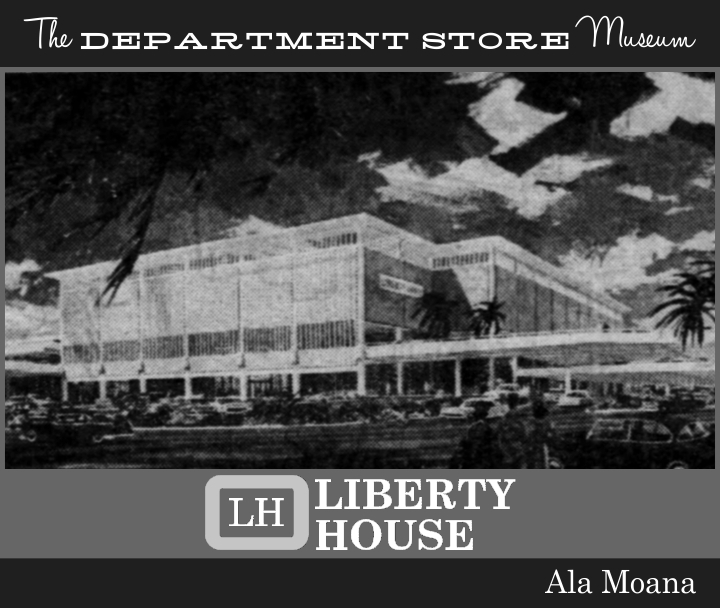 “Make it a store of character” was a quote uttered once by B.F. Ehlers himself, and it is easy to imagine that those who conceived the Liberty House flagship store at the Ala Moana shopping center wanted to do just that. From its bold masonry exterior highlighted by filigree stone screens and deep brises-soleils, to its vast and lovely interior housing the large Garden Court Restaurant, everything about the the 1966 store was designed to impress customers and serve the needs of Liberty House as it sought to further enhance its reputation among locals and the all-important tourist trade. Among new departments added at the time were a full-service furniture and decorating division with specialty shops for men’s and women’s fashion, crowned by the exclusive Crest Room for ladies' designer clothing. 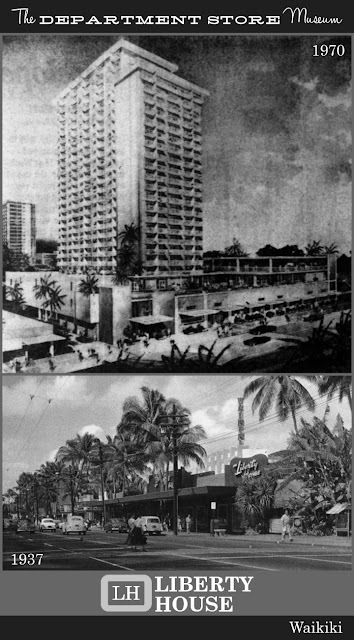 As Amfac, Inc. (the new name for American Factors since 1967) expanded into the resort hotel business, Liberty House opened a branch in shopping gallery the new King Kamehameha Hotel at Kona on the big island of Hawaii in 1975. 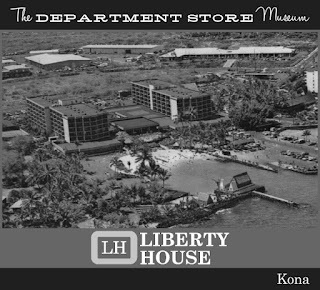 Liberty House also partnered with the parent company to develop the Waikiki Beachcomber on the site of the 1937 Liberty House Waikiki store in 1969. Modern branch stores opened in Pearlridge, and on the islands of Maui and Hawaii as the store sought to solidify its position in the state. It was during the '70s that Amfac sought to expand the Liberty House concept to the west coast by building new stores in California, purchasing San Francisco’s legendary City of Paris department store and acquiring the properties of Rhodes Western Department Stores in Washington, Oregon, California, Arizona, New Mexico and Texas. 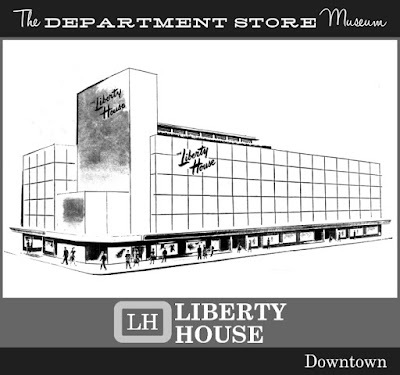 The downtown store, a conglomeration of buildings cobbled together years earlier, was replaced by a completely new department store structure bearing the Liberty House name. 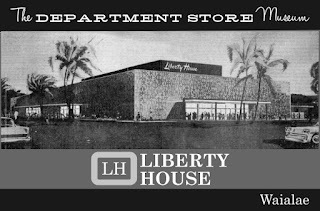 In spite of its unique location, and its desire to cement its position of dominance in Hawaii’s retail trade, all was not well at Liberty House, as chain competitors and low-price stores eroded the customer base it once dominated. The mainland stores were never very successful, and were closed by the late ‘70s. What's more, the Hawaii operation had made the mistake of going after the tourist market, by opening a number of small resort shops, just as a severe downturn of Asia's economy occurred in 1997. 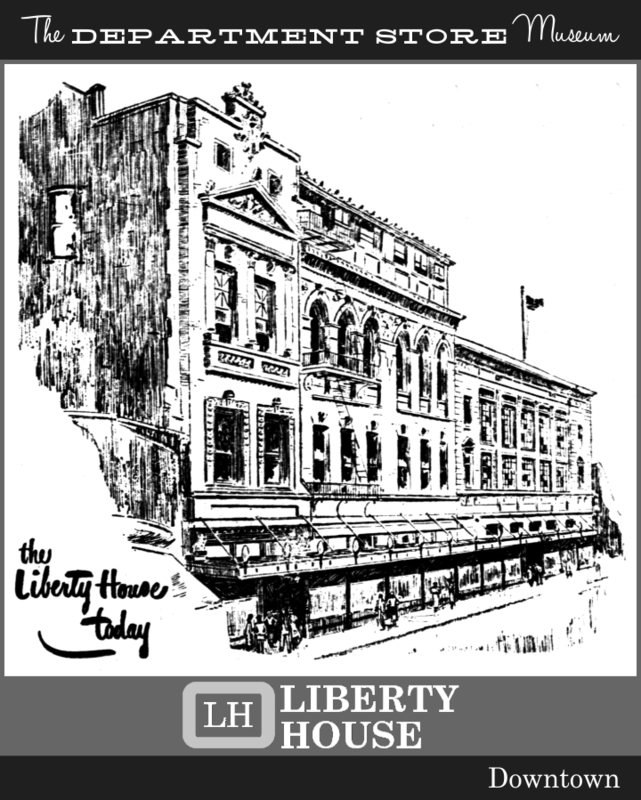 The nearly 150-year old Liberty House filed for bankruptcy in 1998, about 10 years after Amfac, Inc. was purchased by JMB Realty Corp. of Chicago. When Liberty House emerged from bankruptcy in 2001, it was purchased by Federated Department Stores (or what was left of Federated after its own 1990 bankruptcy under the disastrous leadership of Canadian developer Robert Campeau). By 2006, the remaining Liberty House stores were converted to Macy’s, and the downtown Honolulu store on Fort Street eventually closed in 2013, leaving very little to remind Hawaii shoppers of the often-heroic story that characterized the founding of the once-famous Kamaaina department store of the Islands.. 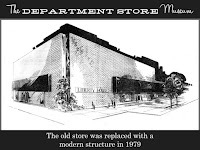 The Ala Moana store added their fourth level in mid-August 1980, moving most home departments from their ground level. 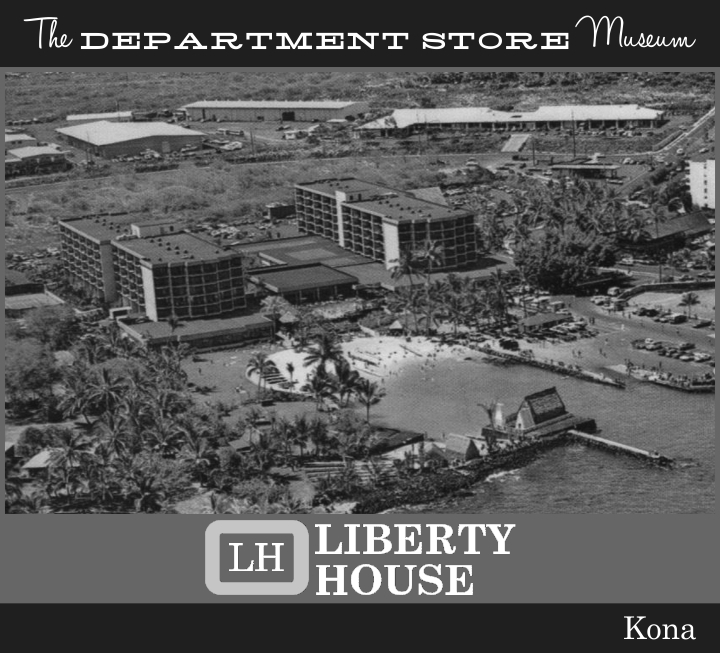 Besides the actual stores, Liberty House had very very small boutique stores in almost all the major resorts on the islands. They sold primarily beach wear with some very limited assortments of casual wear. They also sold suntan products in those small resort stores. I doubt Macy's has kept any of those locations as the largest I remember was about 15,000 sq. ft. The Mainland stores- though they died a slow death over several years - for the most part closed in 1984 (not the 1970's); the Fashion Island (San Mateo) store lasting until 1987. Nice website. I was a big fan of Liberty House. I am wondering if anyone knows about the Liberty House publication "Ka Hale Kokua" (The House of Friendliness and Service) which shared news about Liberty House with staff as well as customers. It included details of store activities, fashion notes, and current events. I believe it was published in 1924. My Mom worked for Liberty House from 1969-1989, at the Fort St. Mall store, the Ala Moana Center location, the Kahala Mall store, and at the Distribution Center at Campbell Industrial Park. The store was well known for it's aloha attire. Mom still has and wears her mu'umu'u from the store, and they look great. But styles and quality of merchandise have changed. Mahalo for creating and maintaining this site. I found out that my great-granduncle Carl du Roi with his wife Maragret Ann du Roi (born Carroll) lived before and during WWI in Hawaii and was manager in those times of B.F.Ehlers & Co. (Liberty House) until end of WWI. Are there any infos our sources for to track there lives and businesses in Hawaii? Thank you and best regards from Northern Germany. What about Liberty House Union Square San Francisco? I don't see anything here about what was a very unique store, right across the street from Macy's. I bought a garment bag at that store circa 1981 as a college student at San Francisco State University. I remember that bag clearly, from over three decades ago. Look further, under San Francisco. THe Mainland operration was essentially a separate division with different management, merchandise, store design, logo, etc. Worked at the Ala Moana store from April 1993 through October 1997. Good times. Met lots of people there, customers and employees! 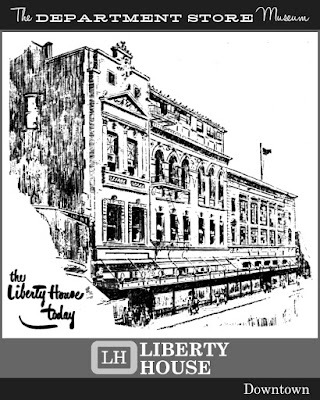 My mother is 98 years old and she still refers to "The Liberty House" even though "the" was dropped from the name in 1957, and furthermore it's been Macy's since 2001. I can remember being dragged to the downtown store or the Waikiki store sometimes on the way home from school 50+ years ago because there was something she wanted to see or purchase. The Hecht Co., Washington D.C.
S. Kann Sons Co., Washington, D.C.
Lansburgh & Brother, Washington, D.C.
Woodward & Lothrop, Washington D.C.
M. Rich and Bros. Co.